Dr. Michael Yamaguchi received his M.D. from the University of Cincinnati College of Medicine. He completed his pediatric training at Tod Children's Hospital in Youngstown, Ohio. Before medicine, he was a vice president at Salomon Brothers investment bank. ​Dr. Ann Troy is a graduate of Mount Holyoke College, Harvard University, and the University of Rochester Medical School. She did her pediatric internship at Dartmouth, and her residency at U.C. Davis. She speaks Spanish and French, and loves traveling, meeting new people, art, good food, reading, swimming, and nature. ﻿﻿Catie Straut, MSN, BSN, RN, C-PNP is our Pediatric Nurse Practitioner. 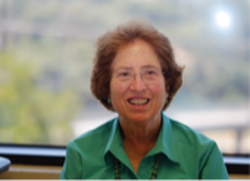 She received her masters from UCSF, where she specialized in pediatric primary care and graduated with honors. An East Coast native, Catie earned her BSN at Columbia University in New York, where she was an Academic Nursing Scholar, and has a Bachelor of Arts degree from Brown University. Catie is a Board Member of the Bay Area Chapter of the National Association of Pediatric Nurse Practitioners (NAPNAP), and is a member of the Sigma Theta Tau International Honor Society of Nursing. She lives in San Francisco with her fiancé and their puppy, Gus.